It’s the most wonderful time of the year, and we spend a lot of time and effort making our homes look and feel festive, especially if you have little ones running around. Once the presents are unwrapped and the holidays are over we’re always left with the same dilemma… where to store everything! So whether you’re just trying to make some space for new toys and gadgets or you’re wanting to keep your Christmas decorations in good order for next year, we have a few handy hints and storage tips to keep your home feeling fresh and uncluttered in the New Year! Everyone likes to keep their baubles in good working order and leaving them to float around in boxes can crush them or cause them to shatter. A great way to store your baubles is to use an egg carton. It’ll keep them nice and tidy, and make them easier to box up safely for storage through the slightly less festive months. If you have particularly large baubles you can use cardboard drinks holders, most frequently found at fast food restaurants. If the shape of your tree ornaments is a little less than regular you can use tissue paper and takeaway boxes to keep your precious decorations in tip-top condition for next year. Clear containers make for great storage solutions… you won’t need to tip everything out to find what you’re looking for! 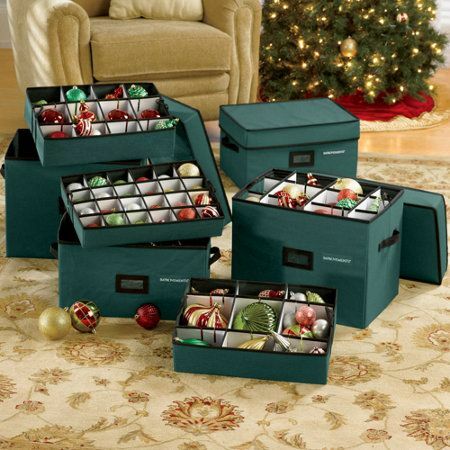 It will also make them easier to store in larger containers with your egg cartons full of baubles! Ripping open presents is probably the best feeling in the world… but rolls of wrapping paper flopping around in a closet for the rest of the year is a bit of a pain. We’ve found that the best way to store it is to fire on a cheeky elastic band to keep the rolls nice and tight, then put them into a garment bag on a hanger. It’ll keep all your rolls together and ready to use. If you feel like you’re ready to take it up a level you can chuck in your ribbons, sellotape, and a pair of scissors. That way you’ll be ready to wrap ‘n’ roll whenever the mood takes you! 4. Do your fairy lights always tangle during the summer months? Fear not, we have the solution! Cables have a life of their own. From headphones, to guitar leads, to fairy lights, you can coil them as perfectly as possible and it will never be enough. Whip them out and they are a tangled mess. “How can I prevent this?”, I hear you cry. Well, we’re going to use a material that is in abundance at this time of year… Cardboard. Get yourself a sheet of the stuff from the side of a box or a board from a gift, and wrap your lights and cable around the sheet. Not only will it prevent it from tangling, but you can write little notes to yourself to identify missing or faulty bulbs or strands. Perfect. Tinsel is funny stuff. It looks great, but it seems to have a life of its own! How can we store it and prevent it wrapping itself around everything else in the decorations box? Two words. Pringles tube. You can keep your tinsel nice and tidy by storing it in Pringles tubes or even water bottles. How can you keep your tree looking fresh for future festivities? Cling film. Shrink wrapping your tree not only makes it skinnier and easier to handle, it will also protect it from damage and prepare it for storage during the 11 months you don’t need it in your life. Where can I keep all my Christmas stuff? Here at Aabsolute Self Storage we can provide safe and dry self-storage all year round to keep your home clutter free and your decorations in great condition, ready to use next time Santa rolls into town. Our lives are always changing and evolving in different ways, whether you’re moving home, going travelling for a while, renovating your property, or even had a change in taste. For whatever reason, you may not want to leave your artwork hanging on your walls. Instead of selling it or risking damage during a move or renovation you could pack it away safe and sound to protect your artwork and keep it in great condition for future use. Cleaning and light maintenance goes a heck of a long way toward preserving your artworks and keeping them looking tip top. Make sure you gently wipe down the surfaces with a microfiber cloth before working a little oil into metal components to prevent rusting or oxidization. Polish will also protect wooden frames from light damage and moisture whilst in storage. Step 2: Preparing your artwork for storage. Frames and canvas can be easily damaged. To prevent knocks causing chips and to protect the structural integrity of your framed artwork you can cover and tape down the corners of the artwork with cardboard to reduce the risk of damage in transit or from contact with the floor or shelving units in storage. For additional protection, you can also use blankets or bubble wrap. If your artwork is unframed, resist the urge to roll it up for storage! Rolling your paintings can cause creasing and cracks in the paint, ruining the work. Instead, wrap it in sheets of glassine to provide air and water resistance, then place the work between two protective layers of thick cardboard, foamboard, or plywood to prevent unwanted damage or bending. 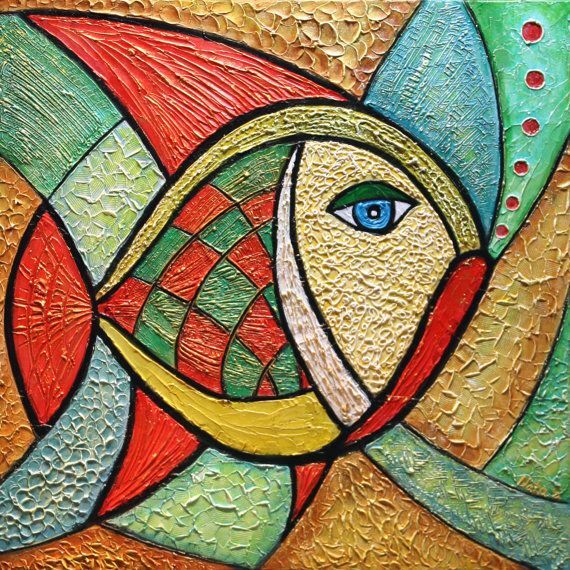 Once you’ve wrapped your artwork to protect it from knocks and scrapes the next step is to prevent moisture damaging your paintings while they are in storage. The best way to do this is to place the piece into a plastic bag and sealing it before putting it into a storage box. You can find boxes for packing artwork easily on Amazon or most art stores like Millers on Stockwell Street, Glasgow. Step 3: Storing your Artworks. There are three major factors to consider when you’re choosing your storage solution. Moisture, light, and temperature. A unit within a climate neutral environment will be required to maintain a low level of humidity and dramatically reduce the risk of significant fluctuations in temperature. It’s also important to ensure that your artwork is kept in an upright position when placed in storage – NEVER stack or store paintings flat. That’s just asking for trouble! To find out more about Aabsolute’s storage solutions for artworks you can contact us here. Last time out we discussed protecting comic issues and graphic novels from wear and tear and damage, and how to prepare them for storage if a house move is on the cards. Prospective buyers are a fickle bunch and they may not share your enthusiasm for your hobbies, so it’s best to keep clean minimalist spaces while the house hunters are on the prowl. Just like comics, vinyl records need to be stored appropriately to prevent degradation to the playing surface and ensure a long life for the quality of playback. 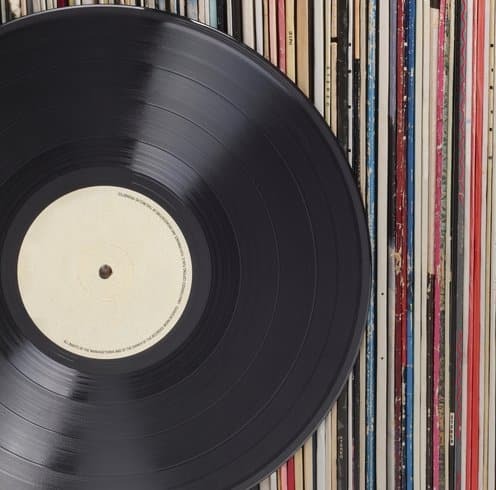 Vinyl has come back into vogue in a big way, so it’s vital that you not only keep your collection up to date but to look after your classic records and first pressings. Step 1: Wash your hands! The Library of Congress in the United States of America hosts one of the world’s largest record collections, and they have a thing or two to say about managing and handling your vinyl records. Wash and thoroughly dry your hands before packing and storing your records, and be sure to only touch the edges and label areas of the discs themselves. Plastic sleeves will give your records an extra layer of protection, keeping dust and dirt from the covers. Dusty records will make it difficult for the needle to stay in the groove and it will affect playback of your records. Just like our advice for storing comics and graphic novels, never vertically stack your records, and don’t lay them on top of each other, even briefly. Storing records horizontally could warp your records over time, meaning the needle will have to work harder to maintain contact in the groove and it will cause the tempo of the music to fluctuate during playback. Keep your records vertical when putting them into storage, whether in boxes or on a shelf in your home. Step 4: What are the best bulk storage solutions? many options available, and you’ll need to find the right ones for your collection whether you’re into 12” LPs or 45s. Step 5: Keep it cool. Keep it dry. Again, just like your awesome comic collection, you’re going to want to keep your records in a cool and dry place, with little fluctuation in temperature. If your records are in a moist environment you will need to check your records’ plastic sleeves regularly to make sure there is no mildew or moisture trapped between the plastic and your record. If you’re looking for short or long term self-storage for your epic stockpile of audio bliss, it’s best to use a clean dry storage unit to protect your collection. Here at Aabsolute we have the solutions to keep your records spinning for years to come. Prospective buyers want to be able to imagine their own things in a potential new home. Your tastes and passions may not match theirs, so if you’re planning on selling up then you might want to declutter and hide that stockpile of collector’s comics or your impressive collection of vinyl. Over the next few weeks, we’re going to be talking about ways to look after and store your collectables whether they’re works of art, comics and graphic novels, vinyl records, or ornaments and figurines. You don’t have to be a superhero to keep your comics and graphic novels in tip-top shape, and there are some things you can do to protect your issues whether you want to preserve them for your own library or make a financial return from selling them on further down the line. If you’re planning to move home and you’re wanting to declutter then you’re going to need some options to store your collection and protect them from wear and tear, or even damage. Step 1: Bag ‘em and board ‘em! There are different types of clear plastic materials used for comic issue bags, usually polyethene, polypropylene and mylar. The type of material you choose will normally come down to your own preference based upon your budget. Mylar tends to go a little yellow over time though, and needs replaced every few years. Bag sizes will depend entirely on the era in which the issue was published. Current sizes are 6 7/8” by 10 1⁄2”. Boards are cardboard sheets cut to size for comics. They are used to prevent creasing and damage caused by accidental folding or bending… they keep your corners sharp too! It’s also important to get the right type of acid-free card for your comics. Both bags and boards are available from the prominent comic shops in Glasgow, including A1 Comics near the Trongate and Forbidden Planet on Buchanan Street. If you need any advice on sizing, the staff at these stores tend to be knowledgeable and will be able to assist you with your needs. Step 2: Keep ‘em out of the light. Damage only occurs through exposure to light and air. You’ve already bagged and boarded your issues, so now you need to keep them somewhere away from direct sunlight to prevent fading and sun-washed covers and spines. If you are lucky enough to own rare or collector’s editions you may want to consider purchasing specially designed hard plastic holders. Obviously, they cost a little more than a bag and board but they offer the best protection for your best issues, and normally they can be hung or propped up to display your favourite covers. Do you want to collect comics as an investment and you’re keen to make a profit? You might want to consider having your comics graded by the Certified Guarantee Company (CGC). It does cost to have your issue graded, but its value will be recorded and locked in, and it will be returned in a hard case with a hologram and a barcode that individually identifies your comic. These unique identifiers can protect you and your investment during any reselling process, especially on websites like eBay. 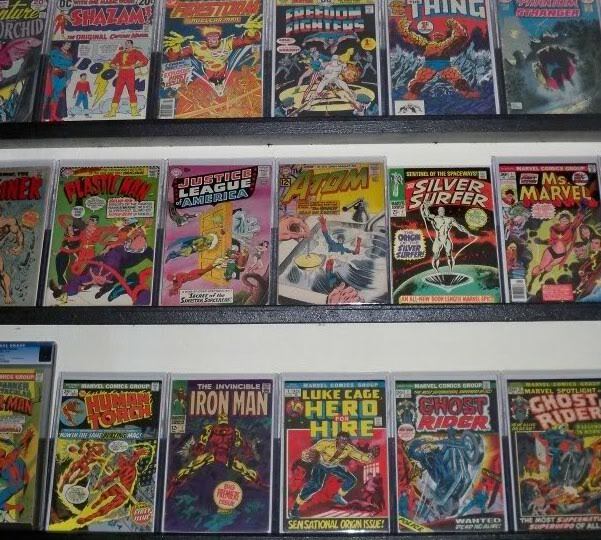 So you’re moving home or trying to sell your house, and you want to keep your beloved comics somewhere safe and out of sight, leaving your home feeling more spacious for your prospective buyers. It is preferable to store comics upright in cardboard boxes to prevent any unwanted creasing or crushing damage if they are stacked. You can also buy soft plastic boxes for comics that cost a little more but are more durable. The boxes are full of magic and heroics, so it’s wise to treat them with respect – don’t stack them high! The weight of the stack will eventually break the boxes at the bottom of the stack and ruin dozens of comics. Five boxes to a stack, max! Paper expands and contracts with fluctuations in temperature and moisture can wreak havoc, so it’s important to keep them somewhere that’s dry and with a neutral temperature, so putting them out in the damp garage for a while isn’t really the best plan given the temperamental Glaswegian climate. Here at Aabsolute, we’ve got you covered.